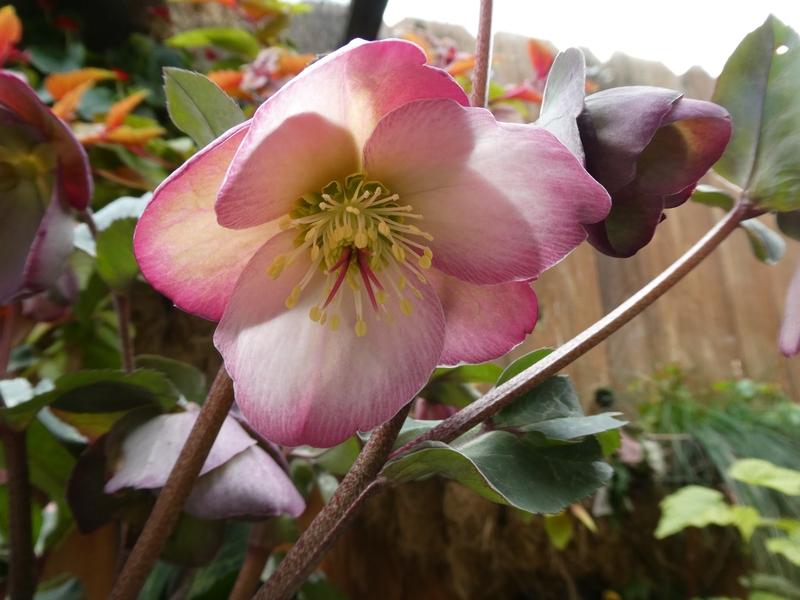 These beautiful sunny days are just calling to us to come outdoors and plant. Why not take our favorite little guys with us to “play in the dirt”? 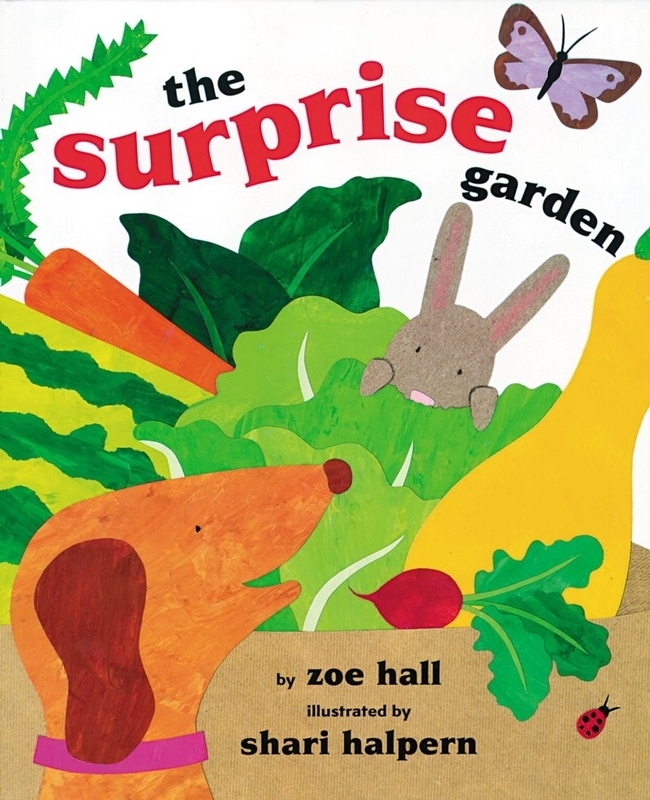 But, before we do, it would be worthwhile to make the gardening moments even more magical by reading “The Surprise Garden” to them. From there, Hall and Halpern lead us through the whole process of planting in rich soil, watering well, and seeing the wonder of “small green shoots” growing and being warmed by the sun. Here we learn all the elements of growing a successful garden. 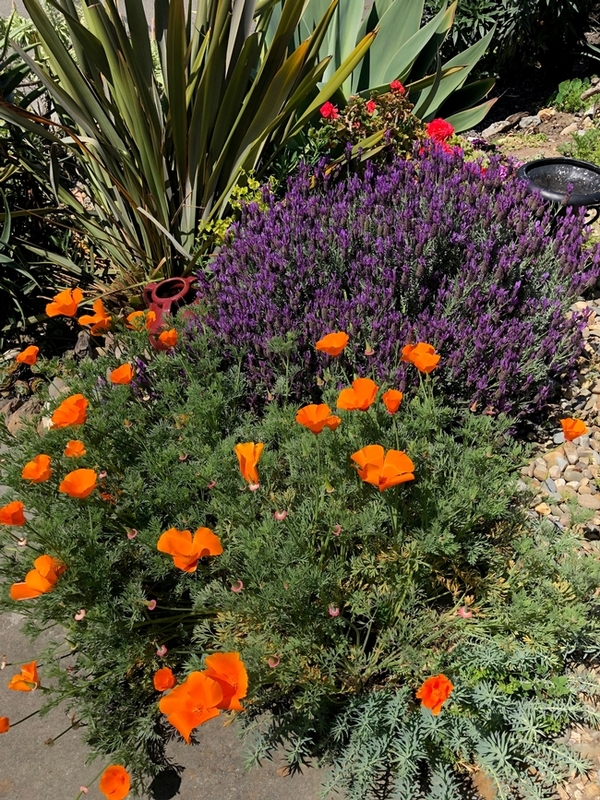 But, this is a “surprise garden”—and since the seeds were randomly planted and marked with color-coded sticks, the excitement of seeing what has actually grown is mesmerizing. It's also a wonderful idea for how we can get our young gardeners hooked on our own gardening passion! This terrific book has been around for quite a while and was first printed by Scholastic in 1999. That means that a lot of kids have been able to order it for very little money. The other good news is, it is so well written and researched, that dozens of lesson plans, reading comprehension ideas and gardening and art activities are now online for us to use with all those kids in our lives—pre-school through 3rd grade. And, on the last page is the “big reveal”! An illustrated page showing what each seed looks like, the color-coded stick that stood watch next to each as they were growing, and, finally, what each grows into! So, the wonderful mystery is solved in the end. It's all a delight and makes you want to get right out there with your best kids and plant! Enjoy the spring. Oh no! We have grubs! To be more specific, we have masked chafers, commonly known as “white grubs” (Cyclocephala spp.). 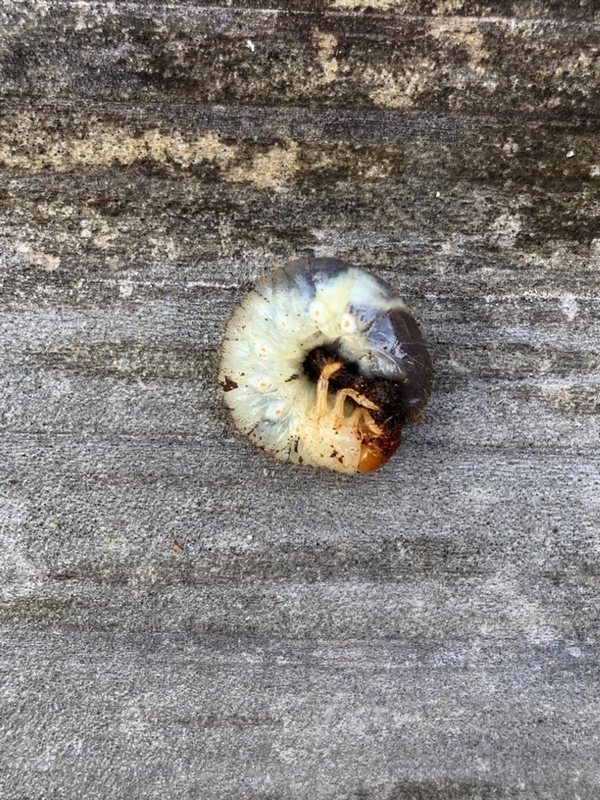 These beetle larvae are white with a brown head, up to 1 inch in length, and have bristles on the underside of the posterior end of the abdomen. Put simply, if you find a large c-shaped white grub, it's probably a – you guessed it – white grub. 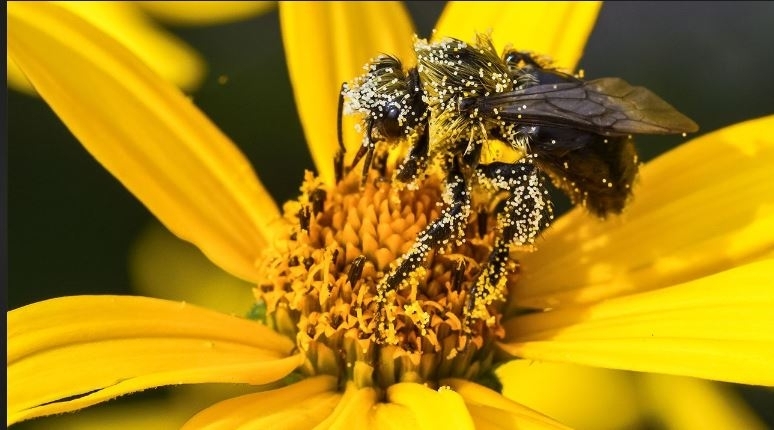 The species produce one generation each year and the grubs overwinter as mature larvae. In spring and early summer, the white grubs pupate 3 to 6 inches deep in the soil. The adult beetles variously referred to as scarab beetles, May beetles, or June bugs are about one-half inch long and are golden brown with a darker brown head. The adults are attracted to lights at night in the summer, mostly from mid-June through July. Identifying the masked chafer was confusing because most references discuss how the grubs are attracted to turf grass. The masked chafer grubs feed on roots, resulting in irregular dead patches and resembling drought stress even though there is sufficient irrigation. We removed our turfgrass three years ago, so I'm not sure why the masked chafers are in our raised beds. Nonetheless, despite their primary reputation for being a turfgrass pest, they will feed on the roots of weeds, vegetable transplants, and ornamental plants. The most severe injury to plants is caused by large grubs feeding on plant roots in the fall and spring. So my husband dug them out and squished them. I certainly hope that helps control them. For information about biological and cultural controls that may help reduce the number of masked chafers infesting turfgrass, see the UC Pest Management Guidelines for masked chafers at http://ipm.ucanr.edu/PMG/r785301311.html. For information about the use of beneficial nematodes to control grubs, see the UC Guide to Healthy Lawns, Beneficial Nematodes, at http://ipm.ucanr.edu/TOOLS/TURF/PESTS/innem.html. Apparently, the masked chafer is a blueberry pest as well. For information about control of masked chafers on blueberries, see the UC Pest Management Guidelines at http://ipm.ucanr.edu/PMG/r57300411.html. 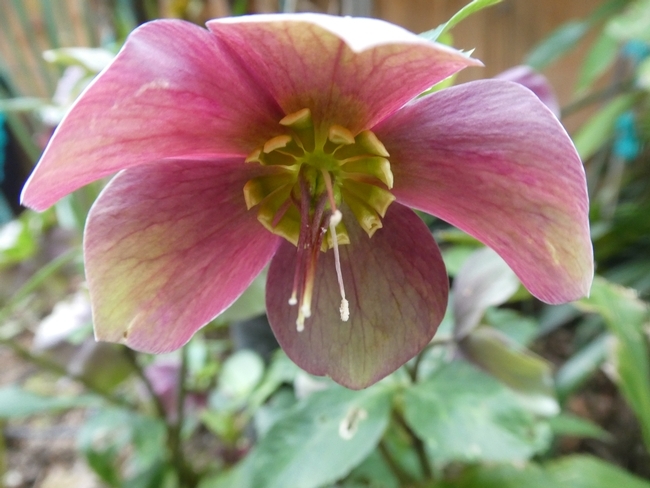 Beyond the legend, myth and poisonous reputation surrounding this member of the Ranunculaceae family, the Hellebore is perhaps one of the most an intriguing plants I've invited into my garden. With a color palate stretching from dark purple, maroon, and red to pink, yellow and white, this perennial fills a void in the flowerbed when little else is blooming. 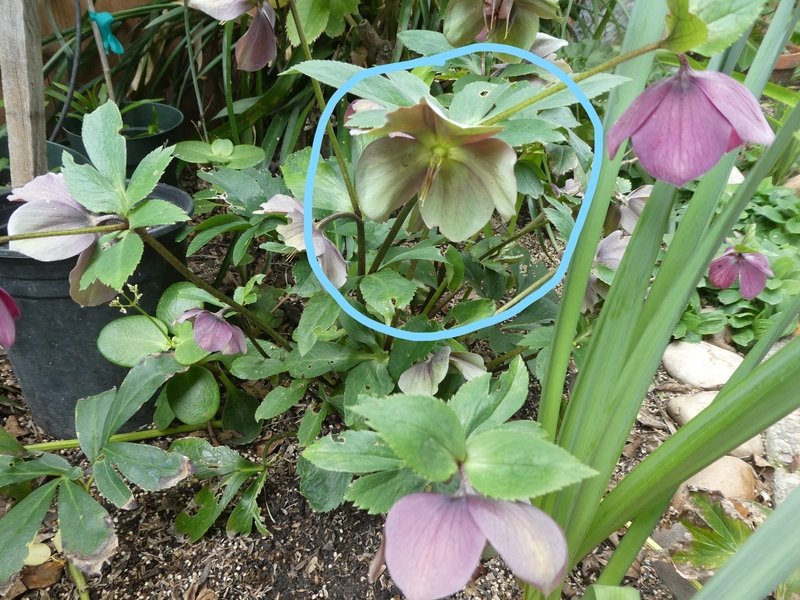 A plus is that the five petals of a Hellebore bloom don't drop off but stay on the plant, eventually turning green as shown in the photo below entitled: NOTE the greening of the flower. 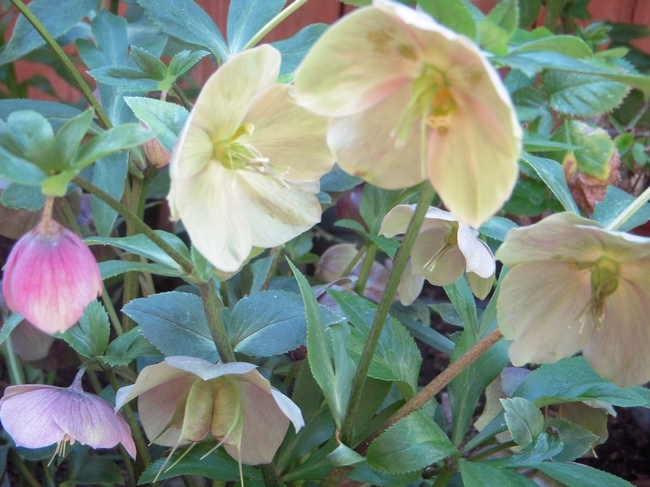 Hellebores prefer well-drained soil that's a bit alkaline. While they appreciate shade or partial shade, some species grow in sun and more acidic soil. With over 20 species to choose from, this 12 to 18-inch plant with its rhizomatous roots, sturdy stems, and thick dark green leaves is worth getting to know. 1. The ancient Greek botanist, Dioscorides, and Pliny, the Elder, supposedly treated madness, melancholy, and worms using the dry powder from the plant's roots to induce vomiting. 2. The Gauls coated the tips of their arrowheads in its powder to ensure the death of their enemies. 3. In the middle ages, Hellebore was burned to protect homes from evil spirits. 4. 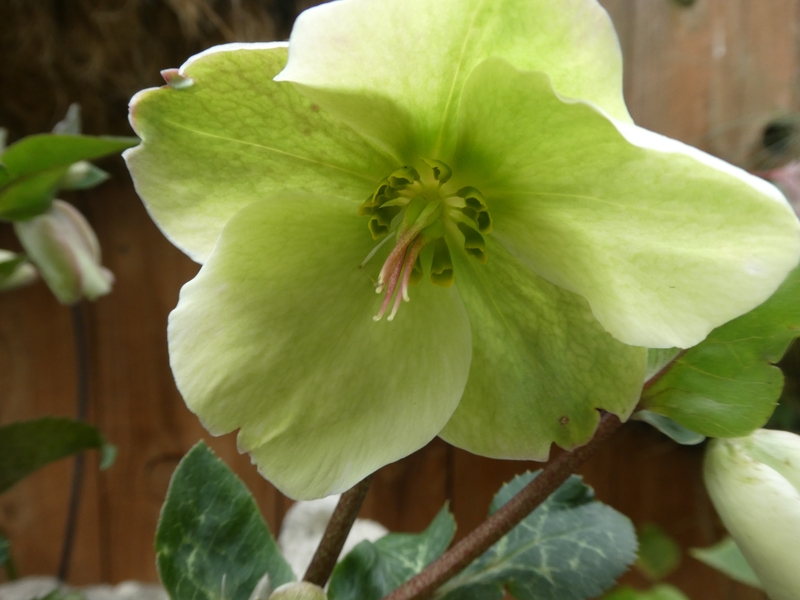 Even a 20th-century English herbalist, Maude Grieve, was said to scatter Hellebore powder into the air and on the ground so she was invisible. 1. 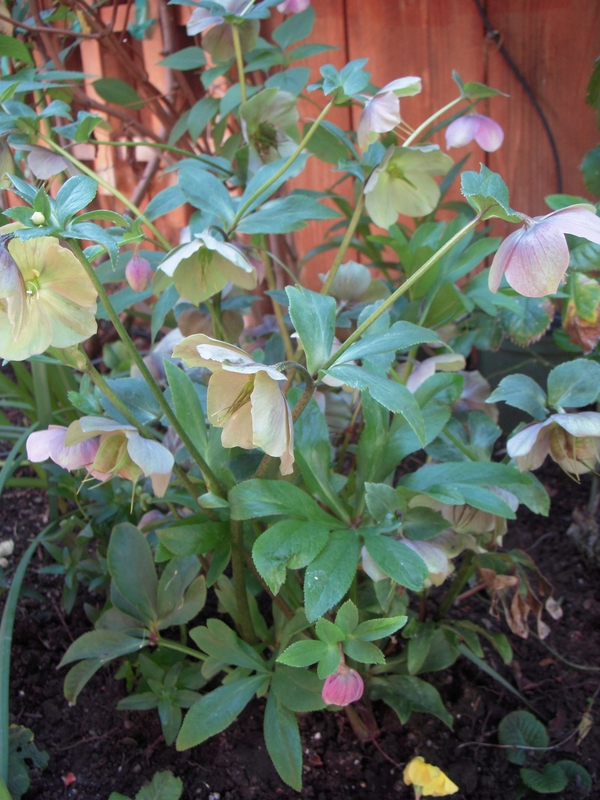 The Hellebore plant is susceptible to fungus botrytis. 2. A gardener can develop a skin irritation from contact with protanemonin, a chemical produced when plant is injured. 4. Hellebore roots are emetic (medicinal substance inducing vomiting) that can be fatal. 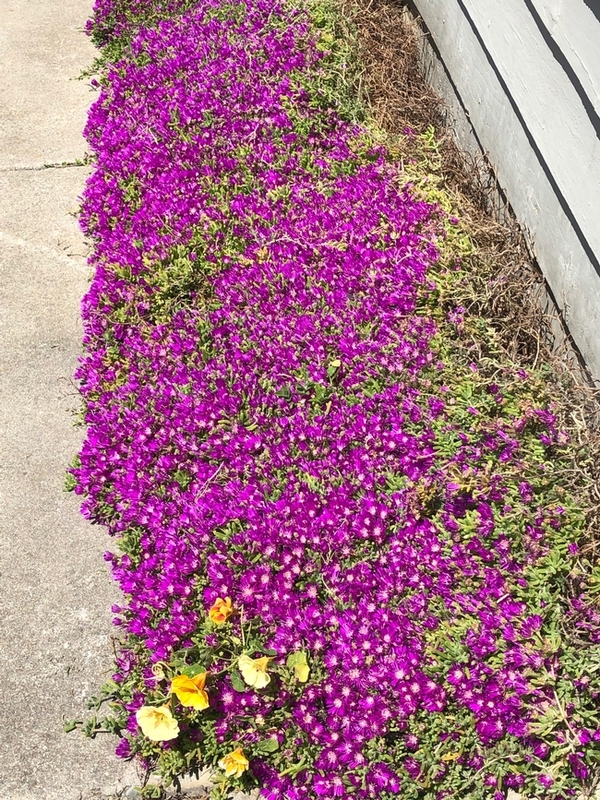 Spring really brings out the purple in my garden. My lavender is putting on a nice show with its fat purple sticks, Lavendula ‘Grosso' has been my favorite for a number of years. It does well-situated in direct sun with minimal hand watering. 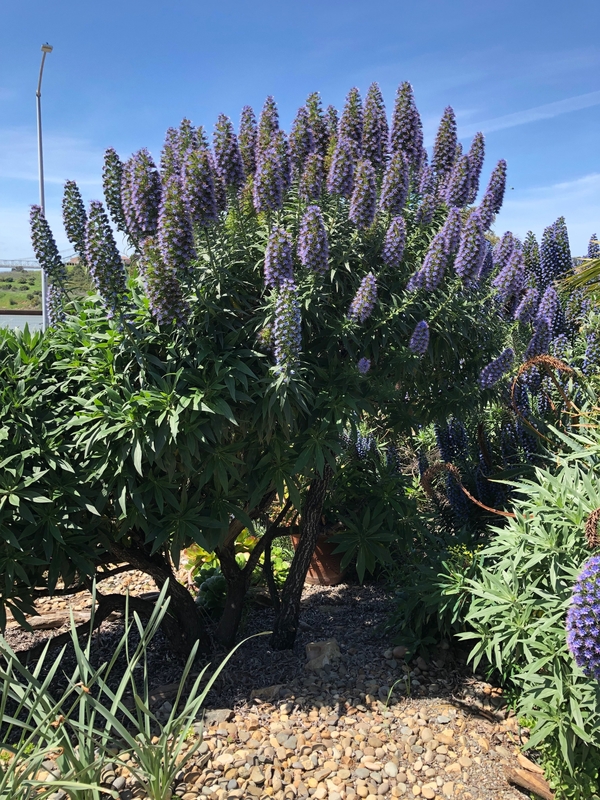 My husband likes our Echium candicans both for its striking blooms and the screening it provides. We also have a variegated form. A fairly recent addition is a purple flowering ice plant, the plant is currently ablaze with striking magenta flowers that fully open in the warmer afternoon sun. It has taken perhaps 4 years to fill in a small area but this year has been the payoff. Recently I had to prune it off the sidewalk and was surprised by how wiry the stems were, this plant is not at all the delicate beauty it appears to be at first glance. And just for good measure, you can see the California poppy, Eschscholzia californica has once again invaded the garden. It's not purple but plays well with so much purple in the garden. Last year in February I was on my hands and knees pulling out California poppy seedlings. Afterwards, I had to deal with pinched nerves in my lower rib cage, ouch, for a couple of months. Learned my lesson. This year I just let the poppy flourish.